William J. Donoher earned his JD at Washington University in St. Louis and his PhD at the University of Missouri-Columbia. He practiced corporate law with Snell & Wilmer, one of the largest law firms in the Southwest, where he represented both creditors and debtors in large commercial credit transactions and debt workouts and renegotiations. He now serves on the faculty at Missouri State University as Associate Professor of Management, and has taught at all academic levels (undergraduate, MBA, EMBA, and PhD). 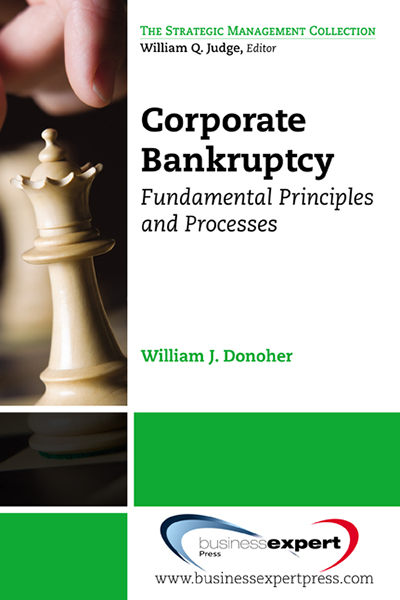 His publications have focused on issues at the intersection of law and business, with special emphasis on the legal and managerial implications of bankruptcy and securities laws, corporate governance, and executive compensation and incentive systems.